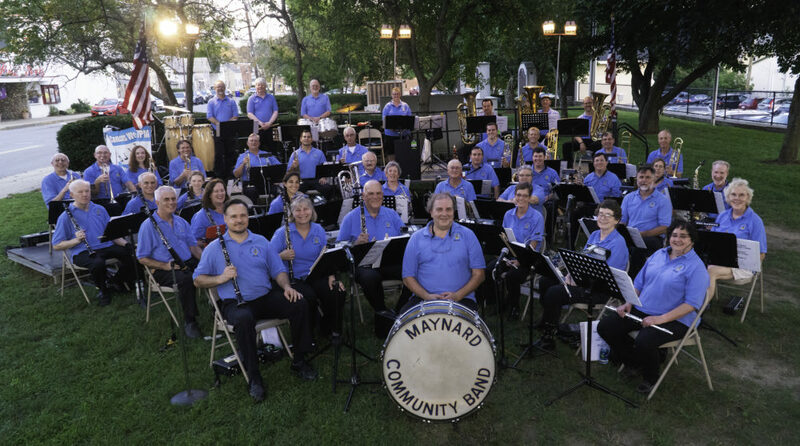 Directions to the Christmas Concert at Union Congregational Church | the "MAYNARD COMMUNITY BAND"
The Maynard Community Band holds the annual Christmas concert in the fellowship hall of Union Congregational Church in Maynard, MA. Check the schedule of upcoming events for the date and time of the concert. It can be found at the intersection of Main St and Nason St in Downtown Maynard. Parking is available on main street as well as in the municipal parking lots across Main St. The entrance to fellowship hall for the band concert is on the lower level of the church near the back off the parking lot. Do not use the main doors in the front of the church. Those doors enter the sanctuary and will be locked.